Unique Construction - Bathrooms, Builder, Kitchens, Roofer based in Burton, Dorset. 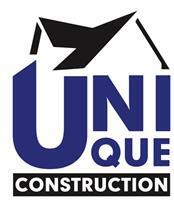 Unique construction is a local building company that works in the Dorset and surrounding areas. We are a family run business and been going for 10 years now. We have over 16 years experience in building. As a company we believe our customers should see the work we have done and are in the process of doing and be able to speak to our previous and existing customers. This enables you as the customer to have complete peace of mind and know that your family home is in safe hands and we take pride in our work.